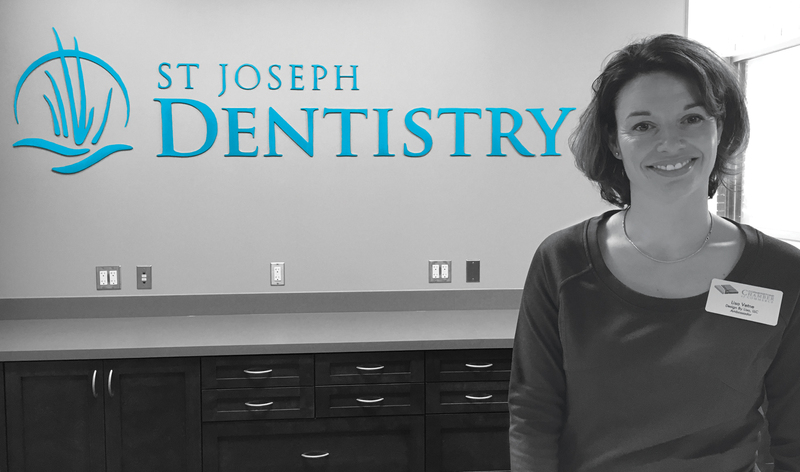 The St. Joseph Dentistry ribbon cutting was a fabulous event! It was truly delightful to reflect upon the first day we met and our discussions about their business goals, branding and logo concepts. Then to see the concepts take form, shape, color, and texture. And finally to see Dr. Howenstein and staff enjoy their beautiful new space. Thank you for allowing me to be a part of the process; congratulations!